(Cleveland, OH—January 24, 2018) Center for Arts-Inspired Learning (CAL) has been named the 2018 Governor’s Awards for the Arts in Ohio winner for Arts Education. Presented annually by the Ohio Arts Council (OAC) and Ohio Citizens for the Arts (OCA), the arts education category recognizes significant contributions through leadership and creativity to advance arts education in Ohio’s schools and community organizations. Since its beginning in 1971, the Governor’s Awards has recognized individuals and organizations who have been vital to the growth and development of Ohio’s cultural resources. The public is invited to submit nominations in seven awards categories and the Governor’s Awards Selection Committee, comprised of six OAC board members and three members selected by the OCA Foundation, reviews the statewide submissions and recommends the winners. 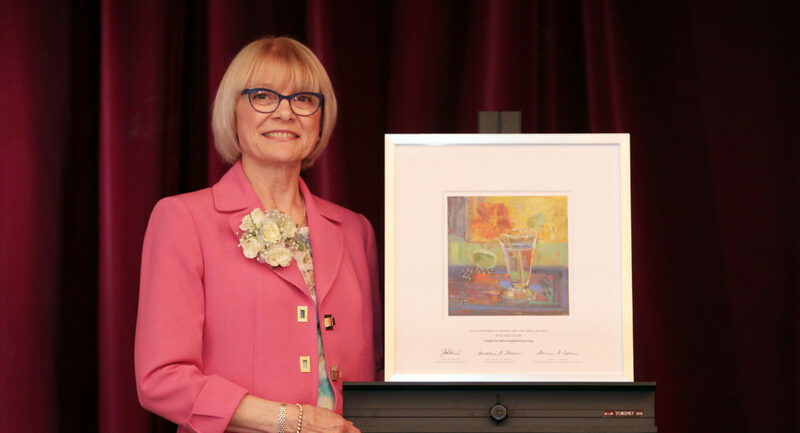 CAL received its award at the 2018 Arts Day & Governor’s Awards for the Arts in Ohio luncheon and ceremony on Wednesday, May 16, 2018 at noon at the Columbus Athenaeum in Columbus, OH. Award winners received an original work of art by Ohio artist Carol Stewart. For additional news on this announcement, please read the press release.